I have been using Google Voice for over a year now and I thought I would share about my experience for those who might be interested in using the service. Google Voice is a free telecom service which provides you with a telephone number. Using Google's web app, you can redirect calls made to this number to any other number (such as your cell, home, or office number), or ring multiple numbers simultaneously. If someone leaves you a voicemail message using your Google Voice number, Google can transcribe it and email or text it to you. Text messages to your Google Voice number can be emailed as well, and they're free. You can use the service to place calls over the internet, listen to your voicemail online, set up number-specific voicemail greetings, route calls from certain numbers to certain phones, place conference calls, block/screen callers, forward/download voicemail messages, record/archive calls online, and place low-rate international calls. As for me, Google Voice has been primarily beneficial for my wife Erin's small business. Google Voice provides her a free, local work phone number which forwards to her cell phone. It just makes sense. However, the benefits fall off sharply there. Erin has an Android smartphone, so placing calls from her Google Voice number (ensuring that when she calls someone, her Google Voice number will show up in their caller ID) is easy. However, if you have any other phone or smartphone, you must call your Google Voice number first and then punch in the number you're calling to achieve this. Or alternately, you can add your Google Voice number to the beginning of all the contact numbers in your cell phone. In addition, because calls using your Google Voice number are routed through Google's system, you do not get in-network calling benefits if you use Google Voice. So for instance, if I call someone who is on Verizon from my Verizon cell phone, but I use Google Voice, Verizon will charge me as if I was calling a non-Verizon number. The voicemail transcribing feature would be a huge benefit if it worked well. Unfortunately the transcriptions are hardly ever comprehensible. The most use I've gotten out of them is reading them back to the caller later for a laugh. Having my voicemail messages archived online seemed like a great idea at first too, but once I tried it I realized most voicemail messages are temporal; I listen to them quickly, respond, and then I don't need them anymore. The biggest detriment to the service however is delays. Erin and I have both experienced delays up to 24 hours in receiving voicemail messages and texts made to our Google Voice number, and when using Google Voice to handle voicemail messages left to our primary cell phone numbers (another feature of the service). However this only seems to apply to cell phone notifications; Erin has never experienced a delay in email notification of a text or voicemail message. She is able to use the service by relying on her phone's email alerts to notify her of new voicemail messages. As for me, I've simply resorted to using my Google Voice number only when I need to give someone (such as a mechanic or someone with a home phone) a local number, since my primary cell phone number still has an out-of-state area code. This, along with the advantages for small businesses, seem to me to be the best use of the service. Free text messages and voicemail transcribing are great, but only if they're on time. Reliability is key. Update 6/20/11: I'm told Blackberry also has a Google Voice app which allows you to easily make calls from your Google Voice number. I use google voice because i work in the basement of a huge concrete jungle. It's great to be able to receive calls through google chat (I usually already have my headphones in), and i can also schedule google voice to forward to my work number (a land line) during work hours. Calling out is a breeze using the google voice extension for chrome. I can click a number on a webpage or by clicking on the extension, and my office phone rings. I pick up, and it rings the number i've tried to call. one annoying thing about this is if i'm out of the office and it forwards to the office, my office voicemail will pick up before the google voicemail. Then i don't get the message till i check my office voicemail. Wow, sounds like you use GV very differently than I do. That all sounds pretty awesome, but it would require giving my GV# out to everyone, which would mean late texts and voicemails all the time. Have you experienced this? I love these kinds of posts. I haven't yet tried Google Voice, but it sounds like it's worth a shot. Even if I don't use it, I still like reading posts ike this one. So glad you posted on this. I'm in Europe now and used Google Voice to forward my calls. It's worked so well I've considered bailing on Sprint and buying a used smart phone for Google Voice only! What problems do you foresee? The main issue I see is that if you don't have WiFi you can't do anything. I wonder if there's a way to get a cheap T-mobile-like service and only use it when WiFi isn't around. You will have to have cell service for Google Voice to work. When I receive a call on my smartphone, it is coming through telecom, not data. You can make free calls through Gmail, but as far as I know there is no way to make voip calls from a cell phone using Google Voice (there may be some Android apps out there that would let you--but in that case you'd still need a data plan unless you only wanted to be able to make calls when you have a wifi connection, like you mentioned). Other problems would be all the ones I mentioned in the post: voice/text delays, etc. 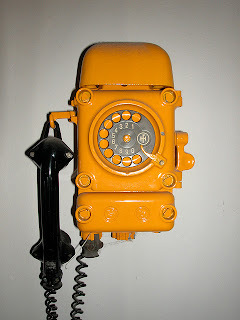 I'm considering getting a pay-as-you-go 10 cents a minute GoPhone by AT&T. Then take the simcard and put it in an iPhone and only use the internet when I have WiFi. That way I only pay for the minutes I use, but only use them when I don't have wireless. And I can have internet at least sometimes. Now I just need to find a cheap to buy a used iPhone. No Google voice app for the iPhone, and no app that's going to let you use Google voice over wifi. But there might be an Android phone that would let you do that. Still sounds like a lot of hassle to me but to each his own. Well Google Voice calls can be automatically forwarded to Google Chat, which I can have open while on WiFi. I just don't use my phone that much and would love to have internet where there is WiFi. This just seems like the cheapest solution. Yes but an iPhone is not going to let you take calls through Google Chat. Actually I don't think there is any phone that will let you make calls through its browser. I think much simpler and still inexpensive solution would be a cheap prepaid cell phone and a used iPod touch. Also, the iPhone is not a global phone. I had to get an additional phone for work because mine won't work. I can set it to airplane mode, but basically it's just a toy not a phone when outside the US. Get a talk and text and then iPod touch. My cell phone # is my Google #. there are no other phones linked to the account. If I add the Google voice mail # to Verizon Friends & Family, will I still be charged minutes? I'm not sure how that's possible. When you sign up for Google Voice, you choose one of the numbers they have available--same with Verizon. I don't know how you could get them to be the same. I believe it will let you use/keep your existing number when you create your Google Vocie account. The sign-up page asked me if I wanted to choose a number or have Google assign me a number. I input my cell number and continued the verification process. At the end, they confirmed the number I choose and gave me a voice mail number. My google page also says that my cell number is my Google number. I'm not sure why it worked either after reading so much more information. I read another comment where a guy said to make your Google number a Friends & Family number so that you wouldn't be charged minutes. No one else has commented on that particular idea and I have been trying to confirm that it actually works. Thanks for answering. I was following directions to set up an account. I was asked to choose a number or be assigned a number. I choose my cell number and the process continued. My cell was confirmed. I was given a voice mail number. I read on another site to make your Google number a Friends & Family number so that you won't be charged minutes. No one else has made that comment and I have been trying to confirm that would really work. I don't know why it worked either. This whole process has been slightly confusing to me. I was trying to get away from Verizon visual voice mail since it has so many problems. The Google visual voice mail has worked great so far. Oh.No. I never intended for this to happen. I was never asked about porting, never told about a fee and never told that my other service would be cancelled- which is bad because I'm in a family plan. I will have to see what damage control I can do. Thanks for helping. Well I'm not sure that's what you did. There certainly could be options I'm unaware of. I just contacted Verizon. They said my account is fine- Whew. Again, I don't know how all this works and it has been a lot of time and effort to find an alternative visual voice mail. Great! Well then it sounds like to me you're using Google Voice to handle the voicemail for your cell number, but you still have a GV number which you can add to Friends and Family to make free calls if you don't mind the trouble. Good post ... and appreciate the follow-up answers. Somehow I got invited to get a number soon after it came out. Signed up and for a while, didn't do much with it. Was a little skeptical about the whole idea ... had and still have some privacy concerns. About a year ago, gave the number to a few friends and family members. So have been getting a few calls per week. The experience has been good. And I think it makes it more convenient for them ... if they really need to get hold of me, just one number to call and it comes to both phones. And if they leave a message, it comes to the regular email and Blackberry. The most useful info for me was that having an Android phone solves the caller ID problem. That may well influence my choice when it's time for a new phone. @mikesoltys.com I had the same problem with my office phone picking up voicemail first ahead of my cell phone. I had my IT guys actually increase the time it takes for my office phone to go to voicemail (I think I had them set it to 30sec), so now my cell phone is always first to go to voicemail. See if they can do that for you. Can I sign up with Google Voice using our landline number as the GoogleVoice number... and then cancel our landline service? i.e. 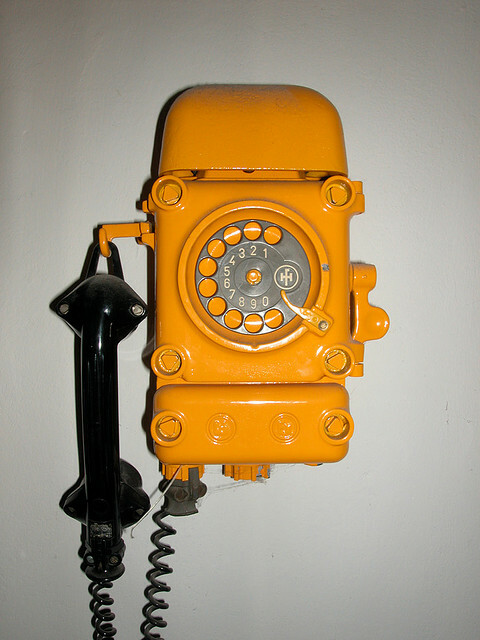 Will the GoogleVoice # (aka our "old" landline #) still function? No. Google does not provide phone service. I ported my Verizon number to Google Voice and went with an Android with a T-Mobile monthly $30 plan, which gives me limited talk, but unlimited text and 4g data. I wish to make and receive calls over the Internet with my 4g data. I am thinking about using Fring at 1 cent per minute. I want my Google Voice number to always display and not my T-Mobile cell number. Any suggestions? I have never used Fring so I can't help you there. The Google Voice Android app will enable you to have your GV number display when you make calls. I'm wanting to set up my kid with a phone. Quert has a $9.99 text only plan. If I get him a cheap android smartphone that gets wifi, would he be able to make free phone calls through GV when in a wifi area? It's fascinating which blog posts go gang busters. Anon - Not with Google Voice. You could do that with Skype or Fring. However, only skype-to-skype or fring-to-fring calls would be free. I don't know of any service that allows you to call from a VOIP program (whether on a computer or a cell phone) to a real phone # for free. Skype and Fring will both do it for pretty cheap though, 1-3 cents a minute. I'm considering getting my daughter a Google Voice # (we just moved and this way her friends can still get in touch with her). Are the incoming and outgoing calls/texts recorded through my phone service for review, or would I have to track them through the google page? Thanks, a concerned parent. You could easily track calls/texts/voicemails on voice.google.com. I don't know what would show up on your phone service record. It might show that all your calls came from your google voice number. Not sure. Justin, any update or changes since your original post? Any input regarding call quality? Also, one thing confuses me...I get that one can have a Goog Voice number. This number is then given out and can identify who it is, reach you on any phone number, screen, and all the bells and whistles, etc. But can it do the reverse? In other words, can I have all my numbers forward to the one "centralized" Goog Voice number, and then Goog Voice does its thing and routes/forwards to one phone (my cell phone)? I have multiple businesses all with different numbers in different parts of the country. I simply want a centralized way to handle all of them but can not give out everyone the same number as it describes on their site/video. I need it to work in reverse. Does that make sense? Am I missing something? Any help or direction would be greatly appreciated! Thanks! No updates, sorry. I still have my GV # but I don't use it much. The easiest way to do what you want to do would be to set up all your other numbers to forward to your GV number using their respective carriers. I think all cell phone carriers let you forward calls pretty easily; not sure about landlines. I work for a medical group that has two docs that will share call. Wondering if this google voice would be good so they don't have to swap a pager back and forth all the time whichever one is on call. I can just have the google voice number forwarded to their cells and whichever is on call answers. Also, can you change which lines it rings to easily, so they could just have it ring on just the one phone that is on call at the time? Any thoughts? Thanks! Sounds like a great use to me! Yes, you can do that easily on the GV site.